Kodiak has a full line of mowing, clearing, grubbing and property maintenance tools and equipment to help keep your site looking good. Whether it's a one-time event, or monthly upkeep services, we can help! Have an environmental site, a railroad property, or specialized clearance site that needs folks with background checks, TWIC cards, or OSHA Hazwoper training - we have the clearances necessary to save you the hassle! 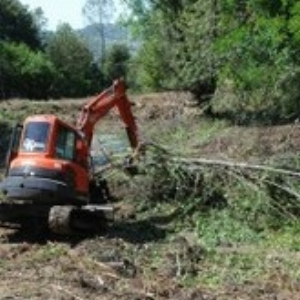 Kodiak's heavy equipment operators are skilled in site excavation and investigation services. 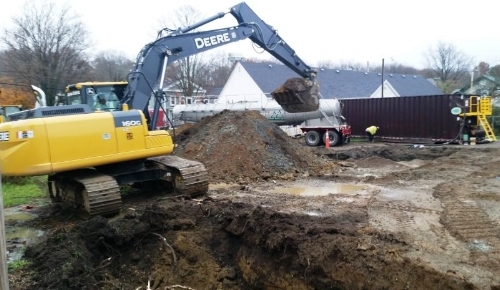 Whether it's a small test-pitting project or a large dig-and-haul job, we can help! Want help installing your next remediation system? Want a road built into your favorite hunting spot and then a food plot developed?